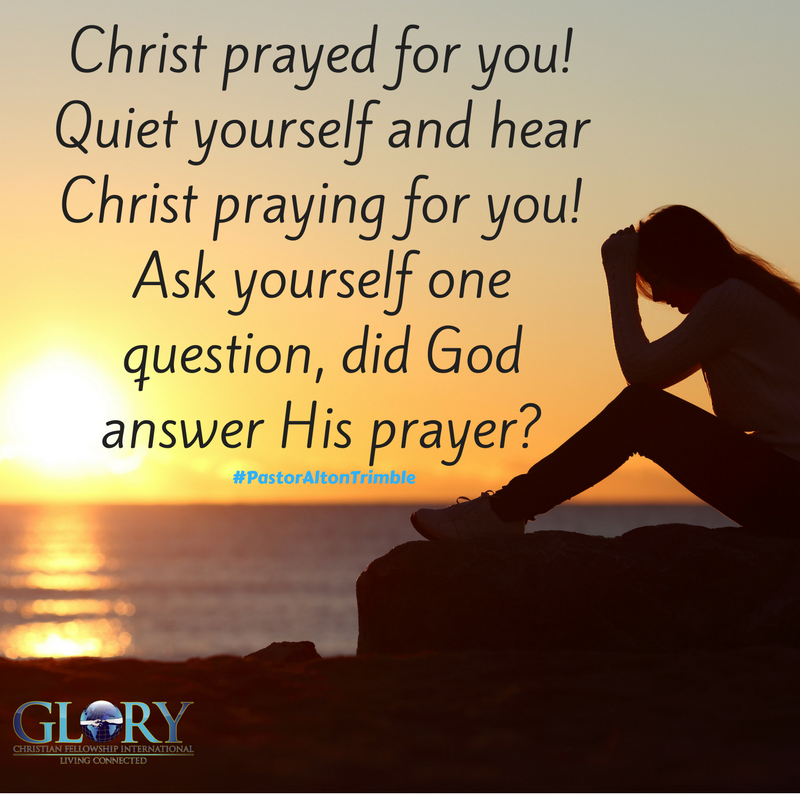 Quiet yourself and hear Christ praying for you! Ask yourself one question, did God answer His prayer? Thank You Lord for praying for me and my family. I know that You answer all prayers and there’s only three answers, yes, no, and not yet! Bless Your Holy name Father! Father God we thank you for praying for us, and we know that you answer prayer.Psalm 46:10 Be still, and know that I am God .thank you P.T. For the manna everyday in Jesus name Amen & Amen !! Thank you lord, I know you hear me and my prayers all the time, for my life is a manifestation of your answered prayers. Heavenly Father, Yes, you answer prayers!!!! Thank you for keeping me and my love ones safe this past week. Yes, you definitely kept me during this challenging time and allowed me to see the good and comfort my love ones. Praise your holy name!!!!! Amen. Amen.